Pond and palace in garden. Free stock photo. France:Versailles, 1280x960, 1343KB. If you click the following links, you can download converted images. And using Free Online Photo Editor : Photo-kako.com, you can convert your images. On this page, you can download the photo titled "Pond and palace in garden". The picture was taken in France:Versailles. The resolution of this photograph is 1280x960. And the size is 1343KB(1374885B). 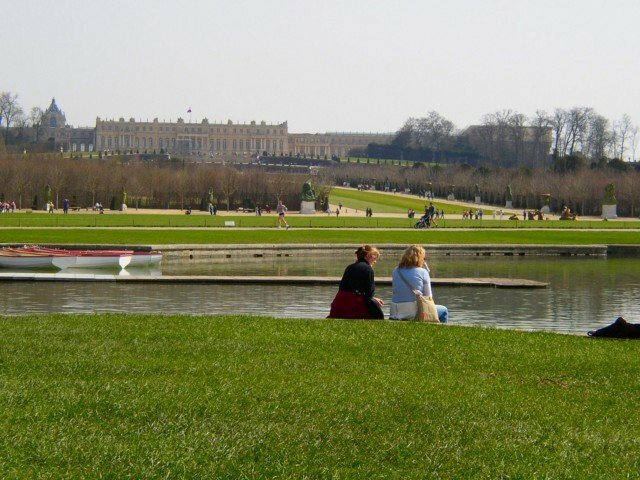 The image belongs to the categories named " France Versailles Water Pond_and_Lake Plant Park ". This website is a big stock photo gallery of sceneries of Japan, France, Italy, Thailand and others. There are more than 2000 Japanese pictures and 300 pics of Tokyo. The license of the images is similar to "Public-Domain", "Royalty-Free" and "Copyright-Free". you can download and use the pictures as desktop wallpapers, as references of travels, on your website, in print etc. Copyright© Hirohisa Fujita. All rights reserved.